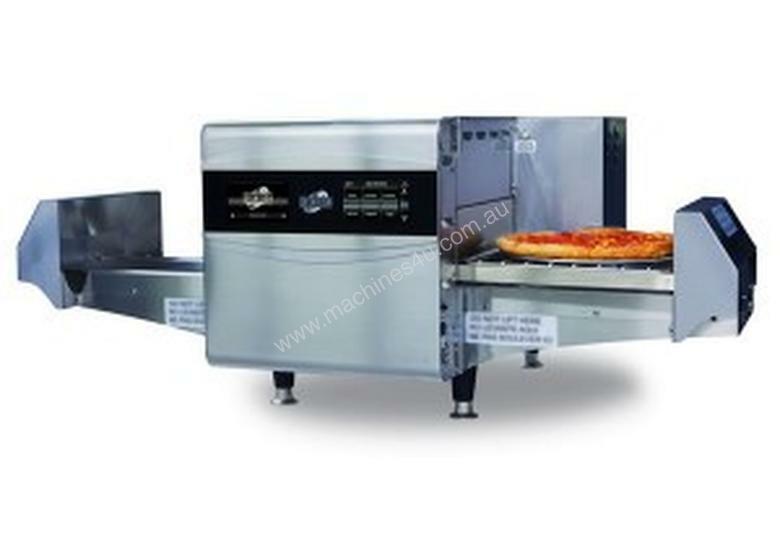 Ovention Matchbox Oven with Precision Impingement System with fully automated, programmable cooking for up to 1000 programs. Features include auto load/unload, two cooking surfaces. Flextemp feature for almost instant cooking temperature changes between programs. The closed chamber and catalytic function eliminates the need for an exhaust canopy creating freedom to place this oven almost anywhere. USB port for loading/storing menus. This unique technology can open up new horizons for your menu and business. Oven cooking size 336 x 341.8mm.